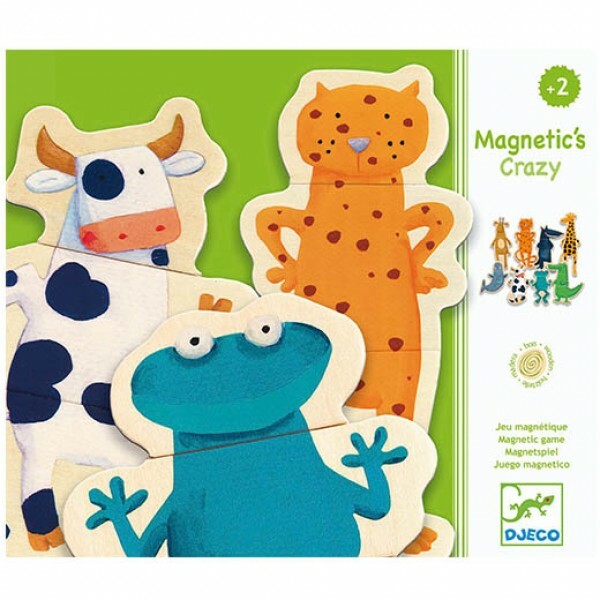 Time for some crazy fun with the bestselling Crazy Animals magnetic puzzle from Djeco! Mix and match heads, bodies and legs to create your own funny, crazy creatures with this bestseller from Janie & Joe! Time for some crazy fun. Laugh until you roll around, mixing and match heads, bodies and legs to create funny, crazy creatures. 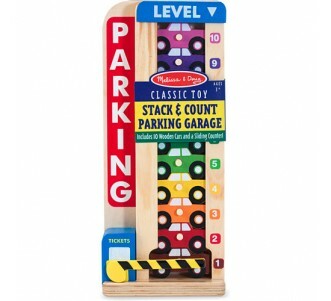 These beautifully designed chunky wooden magnetic pieces are easy for little ones to move around on a fridge or on Djeco’s magnetic board TABLO. 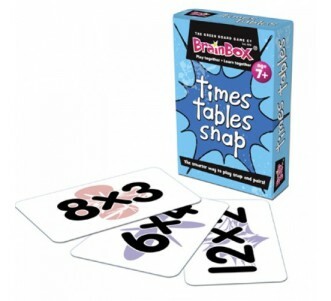 This set contains 24 chubnky, wooden pieces and comes with a beautifully designed storage box. Get this classic, bestselling Djeco game at Janie & Joe.